Did you know that hope can be measured? As I've been reading, reflecting, and researching for the weekly series on characteristics of compelled educators, I've learned a lot! What I didn't expect to learn is that hope can be measured! Whatever the perspective through which we appreciate authentic educational practice ... its process implies hope. C.R. Snyder and colleagues have developed a valid and reliable tool to measure hopefulness. There are two areas that are measured - those of agency (a sense of determination to successfully meet goals) and those of pathways (a sense of being able to generate different pathways to successfully meet goals). ". . . more hopeful people are more successful at goal achievement because they approach problems differently than do less hopeful people (italics added). Specifically, the success of more hopeful employees may be due in part to the fact that they conceive of multiple pathways to reach their desired end." Hope is taught to children by example and through stories. It's important that the educators in the building are "high hope" educators. Hopeful educators see around barriers and persistently work to help students to be successful. Barriers become challenges to overcome, and the perceived likelihood of positive outcomes is great. 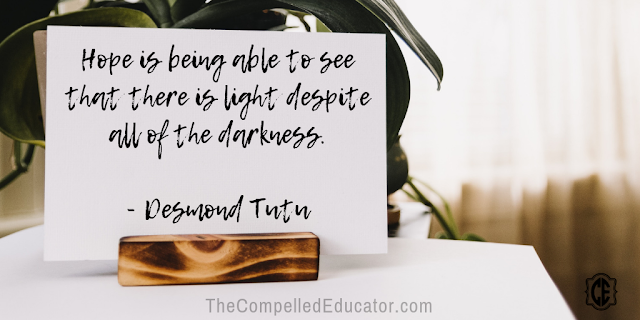 It's imperative that we model and directly teach methods that lead to increased hope. How do we increase our odds as educators to have a "high hope" week or month? How do we pass on "high hope" to students? 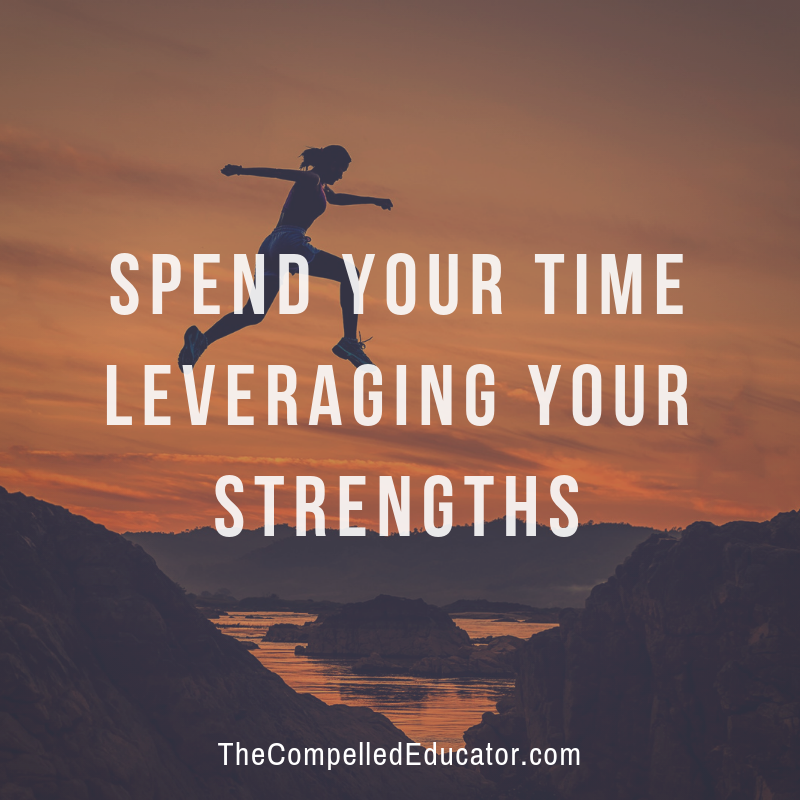 How do we help students identify their strengths, set goals, and identify ways to reach those goals? What interview questions need to be asked in order to identify "high hope" individuals when hiring? 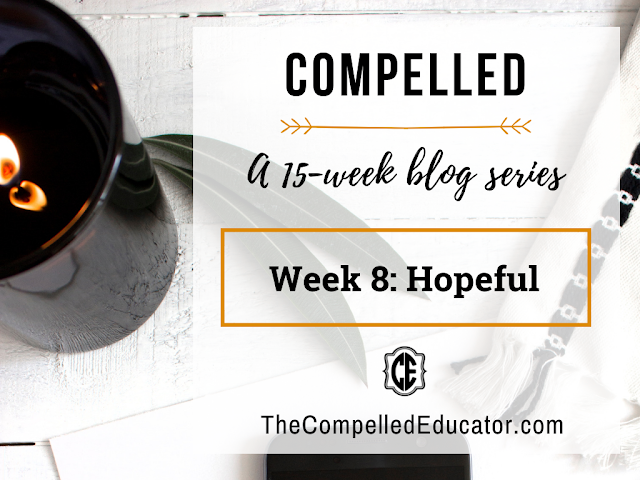 In what ways can we encourage hope in our schools? Peterson, S. J., & Byron, K. (2008). Exploring the role of hope in job performance: results from four studies. Journal of Organizational Behavior, 29, 785-803. Snyder, C. R., Harris, C., Anderson, J. R., Holleran, S. A., Irving, L. M., Sigmon, S. T., et al.(1991). The will and the ways: Development and validation of an individual-differences measure of hope. Journal of Personality and Social Psychology, 60, 570-585. For as long as I can remember, I've always loved to read. My dad tells stories of my sitting in his lap when I was little and him reading to me every day while I quietly listened as long as he wanted to read to me. As I got older, I read mostly mystery and young adult (I don't think they called it YA back then!) - some of my favorites were all of the books in the Nancy Drew series. In late elementary and junior high, my mom would often take me to the library often so that I could check out books. I'm so thankful they laid the groundwork for a lifetime passion in me for reading. To this day, one of my favorite vacations is when I can lie on the beach with a paperback and get lost in the pages. October is month is National Book Month, and the Compelled Tribe has been blogging this month about books that have impacted us personally and professionally. I'm thrilled to share mine with you - especially because I know so many of you enjoy a good book like I do! 1. The Slight Edge (@yourslightedge) by Jeff Olson. This is a book I re-read each year. In it, Jeff reminds us of the exponential power of doing small acts each day that lead to big results. I was introduced to this book around 2008, and a few years after that I had the opportunity to connect with the author, Dr. Stephen Peters. 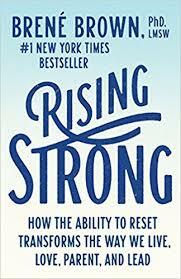 Since the book had a great impact on me personally, I chose it to be a part of a summer book study on twitter with some members of our staff a few years ago. 3. Living, Loving, and Learning by Leo Buscaglia. When I was in college, I was given this book by a teammate on my college volleyball team. This book was the first book of its kind that I had read, and it had a huge impact on me. 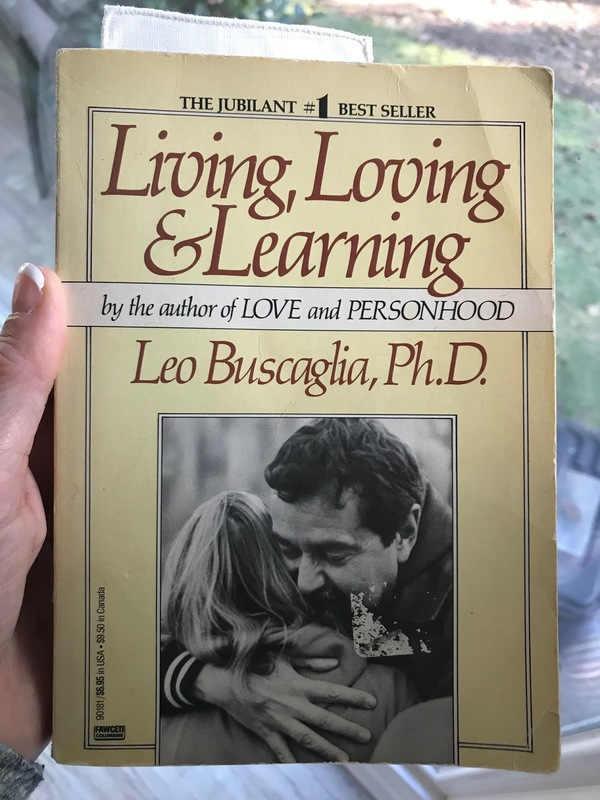 As time passed and I made the decision to major in education, this book shaped my views on loving myself, my students, and my colleagues. This book also makes a great gift, especially for people who are in roles where they serve others. Fellow Compelled Tribe member Dennis Griffin sent me a Vox recently to share his thoughts as he began reading my e-book. It's a quick read, but chock full of stories and experiences about facing fears and how to get better and finding courage. Dennis and I are planning to do a book study soon; I hope you will join us and share your reflections, too! This book by George Couros is one that I read recently with a group of teachers at our school. The book will cause you to be reflective, empathetic, and brave. George includes practical ideas and questions for reflection throughout the book. 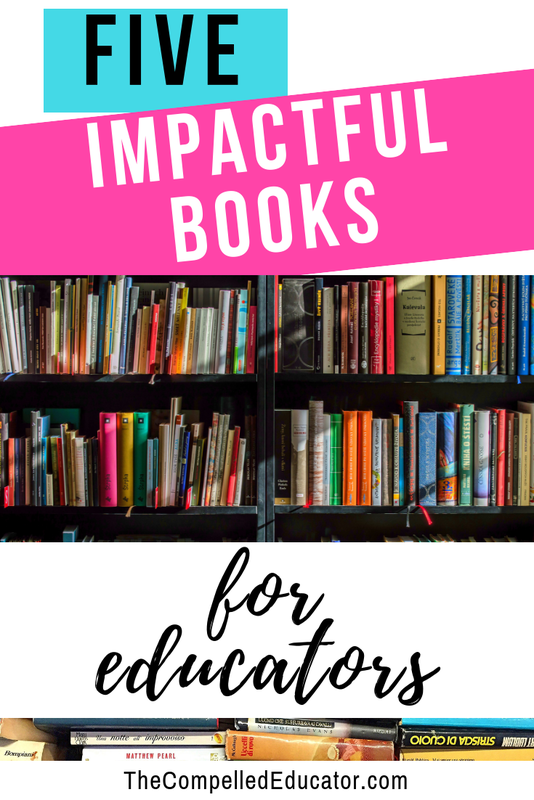 It is a book that builds on what we know works with students - relationships - and takes it to the next level as we are a part of 21st century teaching and learning. I'm reading this book as an assignment for the ASCD Instructional Leadership and Coaching Design Team. 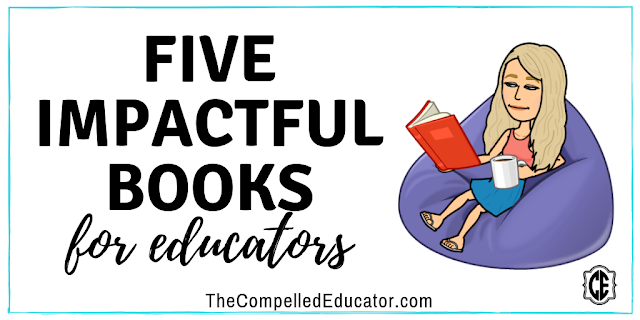 While the title didn't capture me, and I thought it would be a dry book filled with theory and research, I was pleasantly surprised to find that the theory and research are supported by practical examples at all grade levels. Being an administrator in a high school, I find that when I talk with other high school educators, implementing RTI at the secondary level can be very difficult. This book will remain part of my toolbox for many years to come! This is Brene's newest book, and I have had for over a week now. I cannot wait to read it soon! I'll be traveling to Houston next week, so I think I'll savor it on the plane ride there. I'm sure there will be a blog post soon to review the book... I'm a huge fan of Brene's work, and from what I've heard from friends who have started this book already - Brene hit a homerun with it. I’d love to add your favorite books to this post for future readers! Just comment below with your fave and short review, and I’ll be sure to add it to this post and link it back to you! You know what... I knew better. I taught science for 12 years, coached for more than that (including private pitching lessons), and I've been in education for 25 years. I know how to manage and change adolescent behavior... I just wasn't doing it in the lunchroom. Each morning, we serve breakfast in our cafeteria. 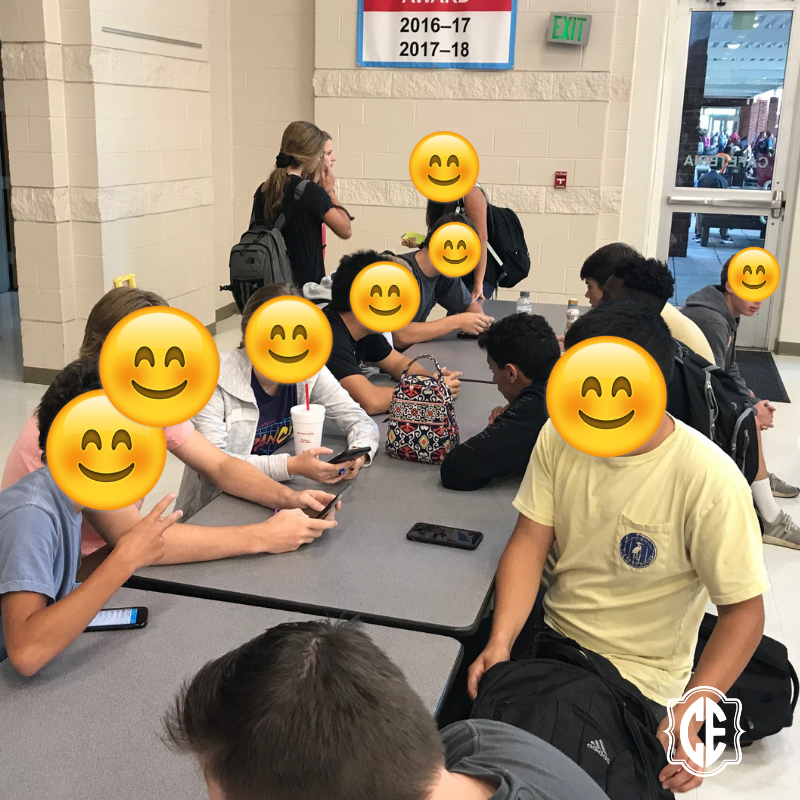 There are about 300 kids in the lunchroom, and it's a great time to see kids interacting in certain groups and interact with them as a school leader. But there was this one table. 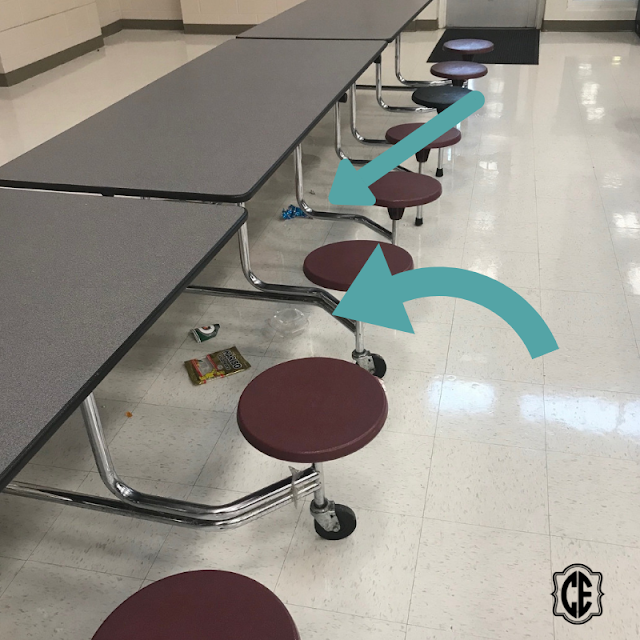 Each morning, they would leave trash on their table and on the floor under their table. It was normal that someone at the table would take a few bites out of a piece of fruit and leave it on the floor by the table. I got angry and frustrated that they were leaving a mess each morning. I talked to them, told them to pick up their trash. No one would admit to the trash, nor were they happy about picking it up. It felt like lose-lose both ways. They had to hear from me each morning, and I was frustrated that they weren't responding to my words. Then I had an aha moment. A breaking point. 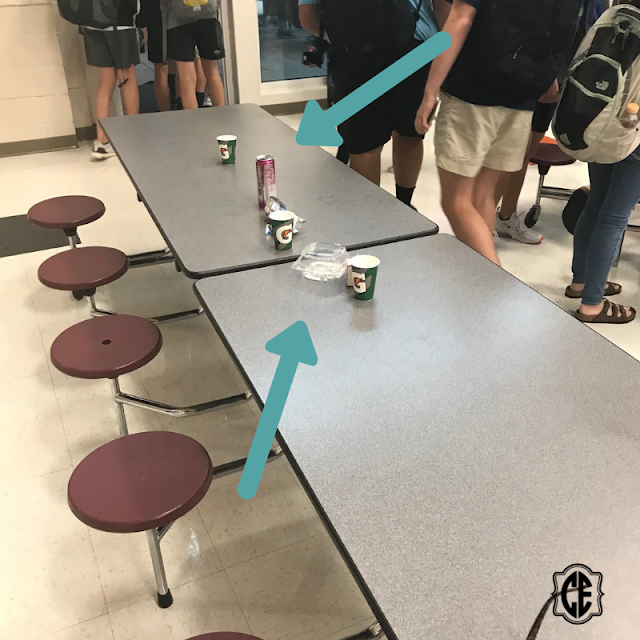 I told them that if they left any trash, they wouldn't be allowed to sit at the table. They left trash on the table and floor that day, so the next morning I arrived early and didn't allow anyone to sit at the last two sections of the table. 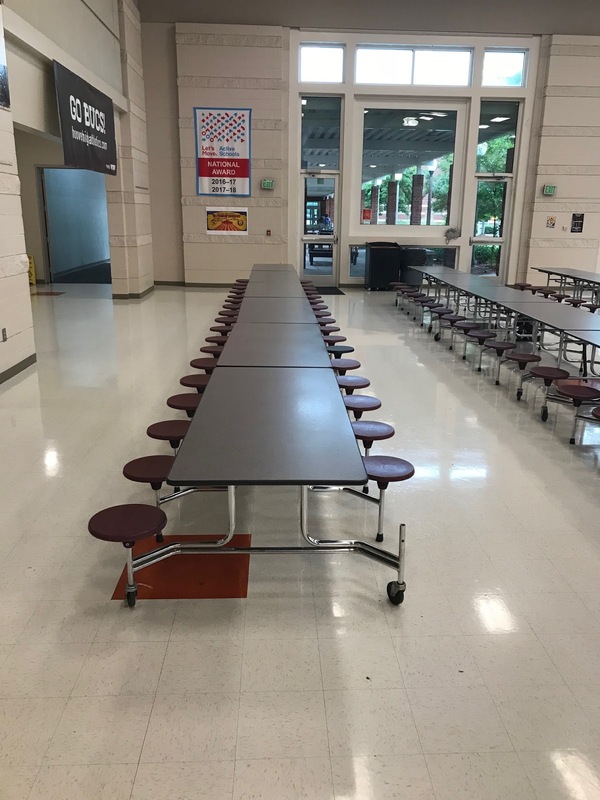 Students would arrive, and other students would tell them they couldn't sit there. I was nearby and would make students move out of the designated area. I gave them a consequence that was tied to the undesired behavior. My "talking to them" or "being stern" with them was not enough. I had to create a situation where they had to do something different. 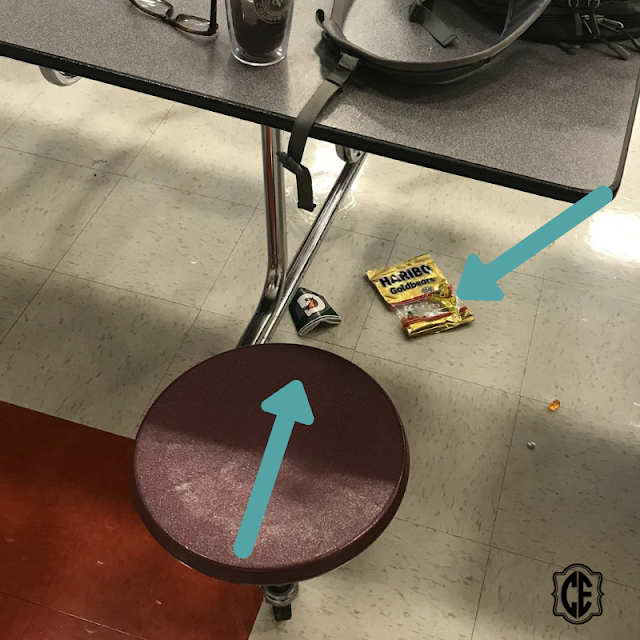 Since the "table banning," there has only been one occasion where trash was left by a student. 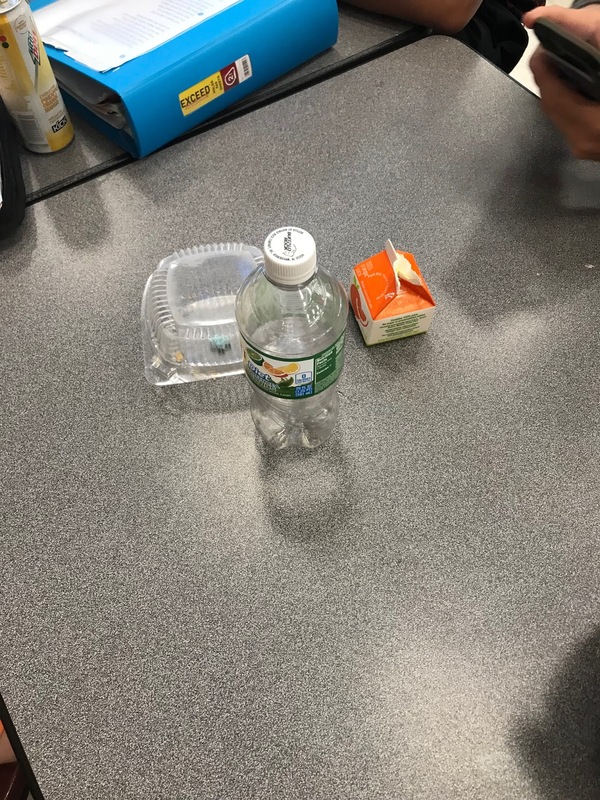 I took a picture of the trash (yes, I'm that person), and the students told me who it belonged to (they didn't want to lose privileges of sitting at their tables.) The next day, I had that student pick up 10 pieces of trash at the end of breakfast. Since then, there has been NO trash left at the tables. Why didn't I think of it sooner and do what I knew to do - create a "consequence" that is related to the behavior? Rewards for students? Lots of smiles and praise each morning. 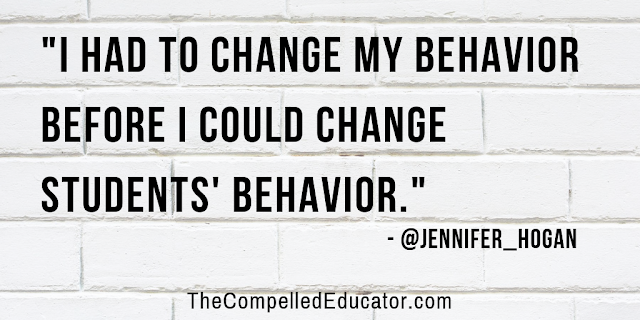 Have you had to think creatively to help change student behavior? Share your examples below in the comments. I would love to hear from you! Maybe you've heard educators talk about learning and time like this: "We must make learning the constant and time the variable," OR "It doesn't matter when a student learns something, but that they DO learn." Have you ever heard similar versions of those quotes? I think the same thing is true for us... for dedicated, professional, positive, thoughtful, compelled educators. There is no time limit on learning and self-growth. There is no buzzer that will go off and let you know that your time is up and that "you can't teach an old dog new tricks." Personal development and self-growth is a life-long process, filled with risk-taking, missteps, and learning. No matter where you are on your educator journey, there is always an opportunity for growth. 1. It takes a specific mindset. Choose a growth mindset, knowing that skills and knowledge are not fixed. Also, be positive and approach challenges with a positive attitude will lead to greater growth. 2. Be willing to face your fears. We can be limited by what we believe to be true about ourselves as we put ceilings on our capabilities. When we are willing to step outside our comfort zones, we can redefine our view of ourselves and what we are capable of. 3. Align your values and your practice. For greatest self-growth, it's important to know your beliefs and values in order to know what kind of life you want to lead and what kind of legacy you want to leave. 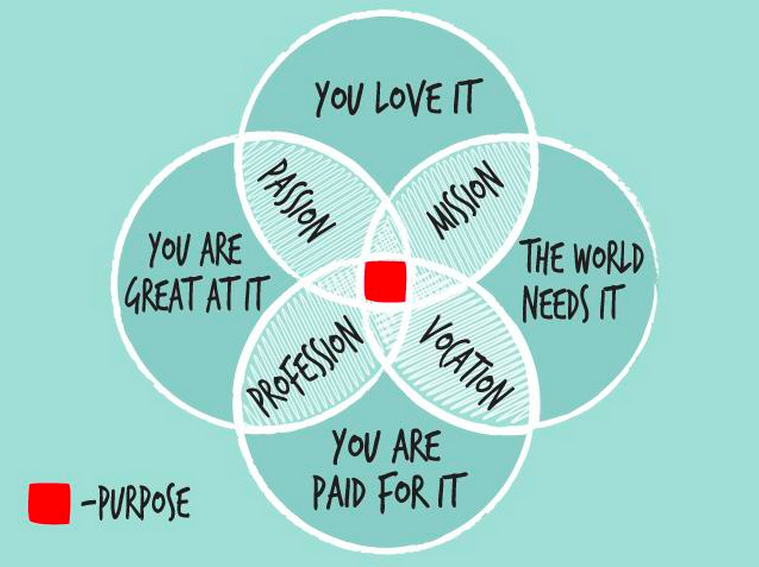 This moral compass will help you focus on areas of self-growth that will support alignment between your actions and your beliefs. When we commit to learning and growth as an educator we are making a commitment to success for our students, because our WHY should include students as well as ourselves. 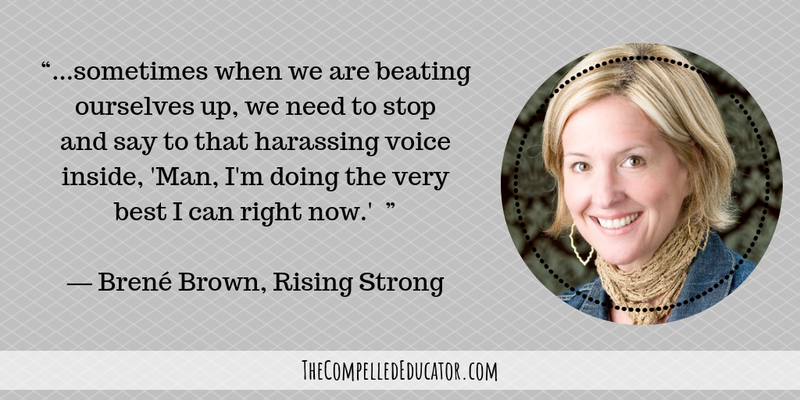 How are you growing as an educator? 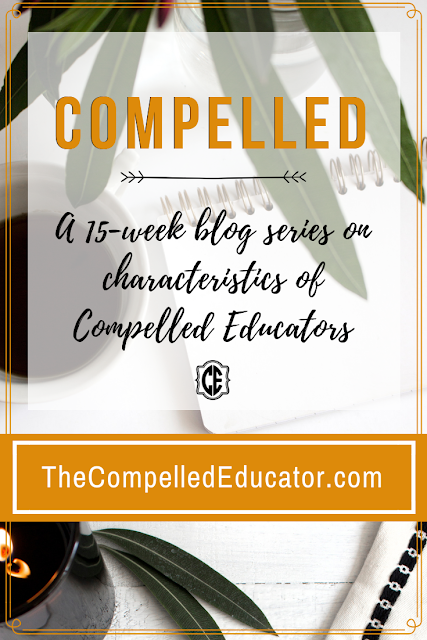 This is the sixth post in a 15-post series about characteristics of compelled educators. The characteristics and ideas I post about are not earth-shattering revelations by any means. They are more reminders to all of us. Let's keep our fire hot and our purpose front and center! My husband is a certified drone pilot. He got interested in drones about 6 years ago, and he purchased and became a certified pilot about 4 years ago. He LOVES anything that has to do with drones. He watches YouTube videos by Casey Neistat and any other webinars or videos that have to do with flying, building, discussing, or even repairing drones. He recently purchased a large Matrice drone and LiDAR so that he can work with surveyors and other mapping porfessionals. If you ask him about his drones, his face lights up and he gets very excited to share whatever he knows and can about LiDAR and drones. He would love for working with drones to one day become a full-time position for him. His passion is obvious and contagious! What about you? Are you like my husband? When someone asks you about education and what you do, does your face light up? Do you read everything you can about being a better teacher/leader/counselor/etc? Do you watch webinars so that you can learn more about the developmental stages of the students you work with? 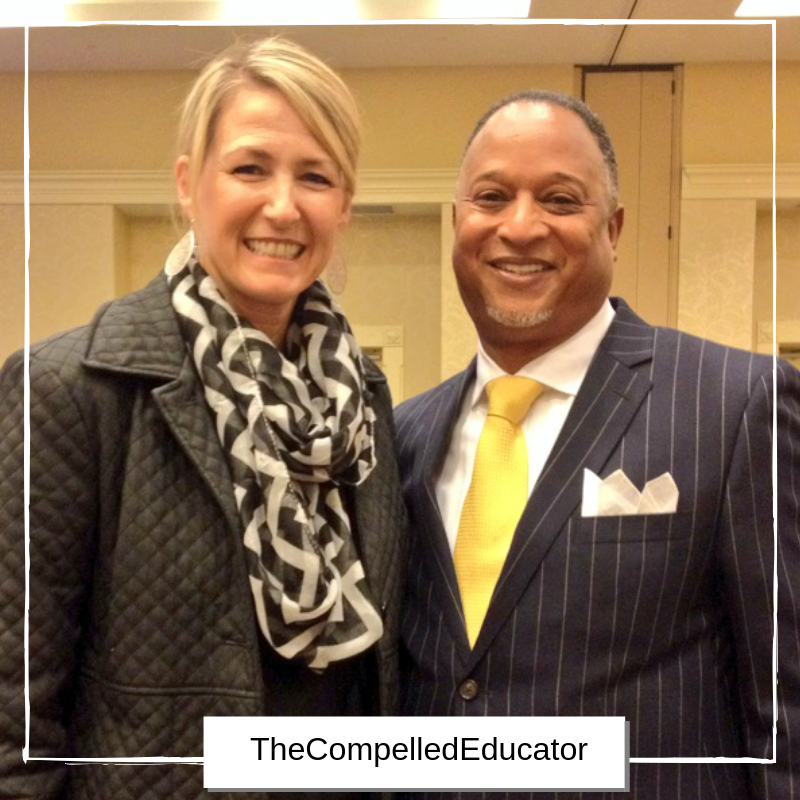 Do you get excited about professional learning? Do you seek out opportunities to learn more about what you do? Are you FIRED UP to go to work each day? 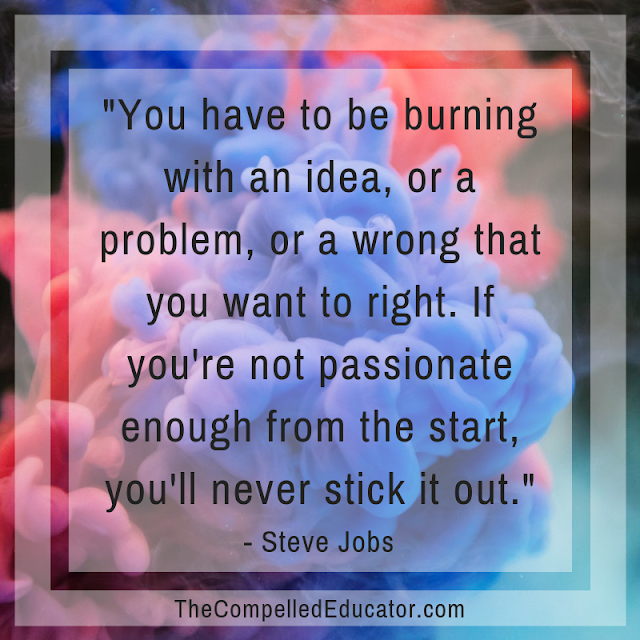 Would you say that you are passionate about what you do? Is it obvious to others? 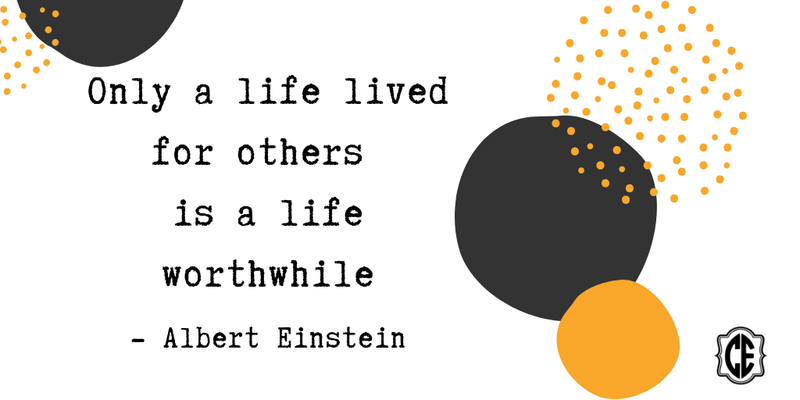 Would others say that you are passionate about what you do? If you won the lottery today, would you keep doing your current job? Passion is the energy that we bring to the table. It fuels us to keep going, to get better, to be better. It attracts others who are passionate, too, and it's contagious. And being passionate means taking action. Check out the short video below by Chris Do. The first 10 seconds are powerful. Go ahead - rewatch them. No passion for your job? Luke Ball (@lukemball) wrote a blog post on how to find it. Luke says it's a choice. It starts with us. It starts with action. What do you think? Can we choose to be passionate about what we do? I would love to hear your thoughts about this post. Feel free to reach out on twitter or Facebook, or leave your comments below. 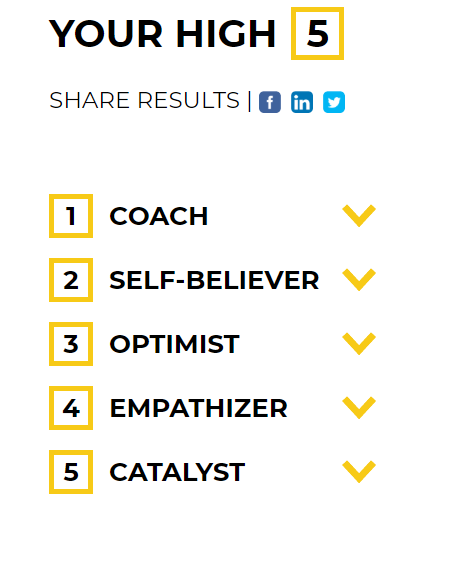 From my introduction to the Meyers-Briggs Type Indicator to StrengthsFinder 2.0 by Gallup to learning about Marcus Buckingham and his book, Find Your Strongest Life: What the Happiest and Most Successful Women Do Differently, I've realized and believe that everyone has different strengths. 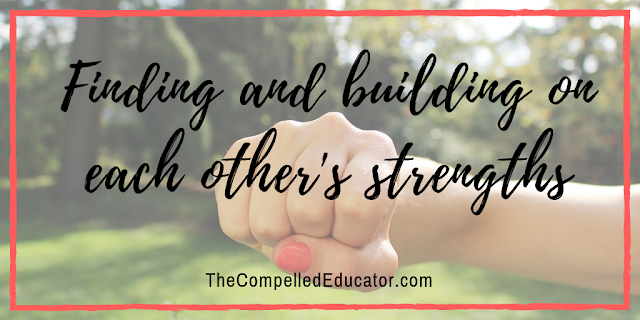 It's my goal to see each person fully in his/her strength -- to understand it, appreciate it, and encourage contribution from each person in his or her area of strength. I also believe that it's important in collaborative settings to know about your teammates' strengths (as well as your own) in order to have a highly functioning team. Getting to know yourself and your teammates better can leader to higher morale, a more positive culture and climate, and greater job satisfaction. 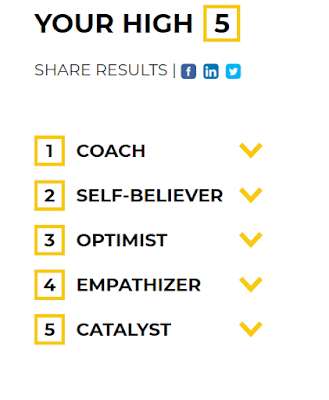 I can't expect to learn about others' strengths without fully understanding my own, which leads me to the High 5 Test, a free online strengths test. At our school-wide professional development day this week, three of our teachers led a session titled, "Unlocking your Super Power," and they had participants to complete the High 5 Test. The participants then shared their own results in a Google Form, and the results (Google sheet) were displayed on a screen in front of the room. Participants got to discuss their own strengths as well as those of their colleagues. From the website, I was able to find the description of each trait. them what to do or control their actions. constantly pick out what’s wrong in everything. 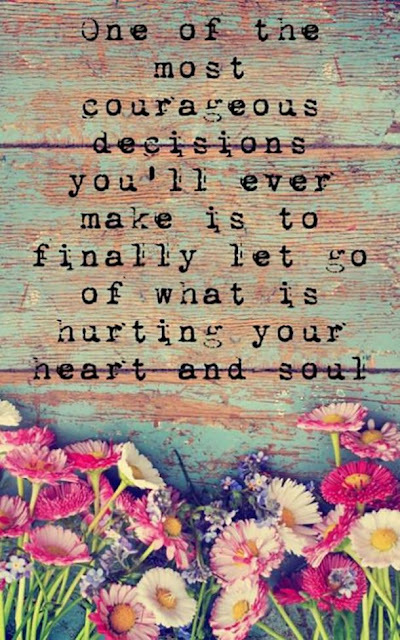 disregard feelings and emotions and follow strict logic instead. when they could be getting things off the ground. How could taking the High 5 Test and sharing results with each other impact the culture of your school? If you take the High 5 Test, feel free to share your results in the comments below! I think that we can all agree that learning anything will be fraught with mistakes. Having a growth mindset accepts and understands that "failure" is part of the learning and growing process. Forgiveness of one's self and others is what I call the backbone of growth mindset. When forgiveness is front and center, risk-taking becomes a central part of a classroom or school culture, as well as one's own personal mission statement. Let's start with what it's not. I love how The Good Men Project states this. --To forgive does NOT mean that you condone wrongdoing. --Reaching a place of true forgiveness is NOT about you deciding that what someone did is okay if it was not. Forgiveness lives in the present and the future. Forgiveness lets go of the past, knowing that the past can't be changed. Forgiveness is a choice that we all make, and before we can choose to forgive others, we must choose to forgive ourselves. It can be easier to write about or think about forgiveness than to actually do it. It's a hard, courageous choice, but one worth it in the end. "Forgiveness is so difficult because it involves death and grief. I had been looking for patterns in people extending generosity and love, but not in people feeling grief. At that moment it struck me: Given the dark fears we feel when we experience loss, nothing is more generous and loving than the willingness to embrace grief in order to forgive. To be forgiven is to be loved." What's been your experience with forgiveness as an educator? I would love to hear your story in the comments below or via social media - Twitter or Facebook. When a person assumes the role of educator, he or she makes a conscious choice to take on a role that has potential to change the world. The educator becomes the counselor, teacher, encourager, disciplinarian, father- or mother-figure, nurturer, healer, and more. Compelled educators accept and embrace their many roles. We understand the potential impact of our work, and we intentionally choose to do whatever we can to meet the needs of their students and if we are leaders, our staff, too. Servantship is a mindset. It comes from a spirit of gratitude and a mission to help others to be successful. We often hear of "Servant Leadership" rather than servantship in education. Educators with or without leadership titles are leaders. Servant Leadership is a phrase that was coined by Robert K. Greenleaf in The Servant as Leader in 1970. Larry C. Spears is the CEO and president of the Larry C. Spears Center for Servant-Leadership. After studying Greenleaf's work, he identified a set of ten characteristics of the servant leader that he viewed as being of critical importance. Below, you can see the 10 characteristics and how they apply to teachers. Listen to students to help them determine their learning needs. Some students will fail. It’s an important part of the learning process. Rebuild the student’s self-confidence after failure. See the big picture. How do all the parts fit together. Help each student reach his/her potential. 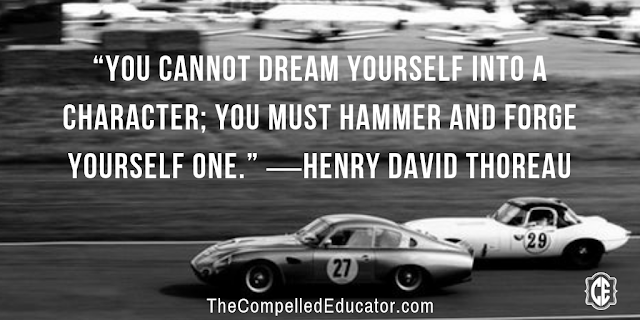 Foster your own growth as a teacher. Seek to improve the community and the profession. Create a welcoming environment but help students hold themselves and others accountable. Kent Wilson, author of Steward Leadership in the Non-Profit Organization, outlined characteristics of servant leadership. The descriptions apply to teachers, counselors, and school leaders, as well as other staff members that impact the life of a child. It's more inclusive of all of the members of the education community, regardless of position. How much do you agree that servantship is a characteristic of compelled educators? 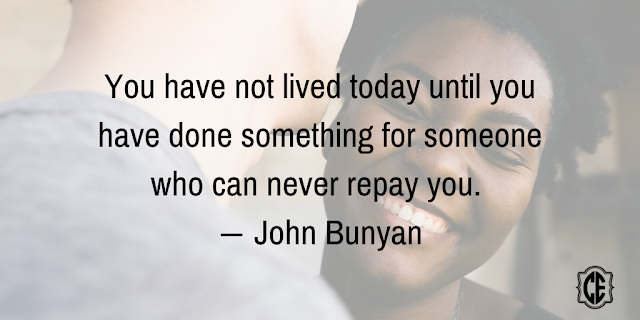 Who has been your role model for servantship?